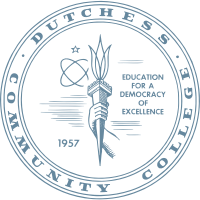 We are pleased that you are interested in learning more about Dutchess Community College. Please click on the dates in the calendar below to review and register for our upcoming on-campus programs. When visiting campus during the day, please park in Lot E (intersection of Pendell and Creek Roads) and cross Creek Road at the light. Take the elevator in Hudson Hall to the third floor and follow signs to the Orcutt Student Services Building. Schools or organizations with more than 10 people wishing to visit campus should contact the Admissions Office for special arrangements. If you have any questions about upcoming events, please contact the Admissions Office at (845) 431-8010 or admissions@sunydutchess.edu. We make it easy to visit. Tours and information sessions are offered weekly. These events are for prospective students and applicants. Click on a date in the calendar below to register for a tour. All nursing program applicants, new or currently enrolled at DCC, must attend one of these sessions as part of the Nursing admissions process. At this event, you will learn more about the program as well as the admissions requirements for entrance into this highly selective program. Please arrive on campus at least 10 minutes prior to the scheduled start time. Saturday Campus Tour & Information Session - April 13 at 10:30 a.m.
Each month, we do a special Saturday tour and information session for students who can't make it during the week. Even though we have less campus activity on Saturday mornings, this is still a great chance to see our beautiful campus and hear about our academic and social opportunities. NYC Information Night at the SUNY Welcome Center - 18th Floor, 33 West 42nd Street - Wednesday, May 8. We will be hosting an information session at the SUNY Welcome Center in NYC this spring. An Admissions Counselor and current DCC students from NYC will be in attendance to discuss the academic, social, and residence life opportunities available for students at our Poughkeepsie campus (90 miles from NYC and accessible via Metro-North).